PHILADELPHIA – A novel therapy designed to attack tumors in patients with a genetic mutation in either BRCA1 or BRCA2, slowed tumor growth in 85 percent of advanced breast cancer patients treated in a small study, researchers report in the July 6 issue of The Lancet. “That is really an enormous response rate in a population of patients who have received a median of three prior therapies,” says study co-author Susan M. Domchek, MD, associate professor of Medicine, University of Pennsylvania School of Medicine, and director of the Cancer Risk Evaluation Program at Penn’s Abramson Cancer Center. The new agent, called olaparib, inhibits a protein called poly(ADP-ribose) polymerase (PARP). Both PARP and the BRCA proteins are involved in DNA repair. And while cells seem to be able to do without one or the other, inhibiting PARP in a tumor that lacks a BRCA gene is too much for the cells, and causes them to die. “If you put too much stress on the cancer cell, it can’t take it and it falls apart,” Domchek says. Because the non-tumor cells in a patient with an inherited BRCA mutation still retain one normal copy of the BRCA gene, they are relatively unaffected by PARP inhibition. “These drugs may be very potent in tumor cells and much less toxic in normal cells. 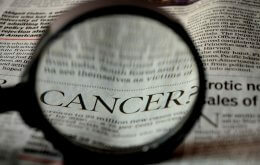 That is important from the perspective of cancer treatment,” Domchek says. The international study enrolled 54 patients in two groups. The first group of 27 women received 400 mg oral olaparib twice daily and the second group of 27 patients received 100 mg oral olaparib twice daily. The higher dose appeared to have more activity against the disease, with one patient (4%) having a complete resolution of her tumor and ten (37%) showing substantial tumor shrinkage. Another 12 (44%) women had stable disease or some tumor shrinkage, but not enough to be considered a partial response by standard criteria. In the low dose group, six (22%) patients showed substantial shrinkage and 12 (44%) had some tumor shrinkage or stable disease. Penn was one of just six centers in the United States to participate in the clinical trial. The trial was led by Andrew Tutt, MD, of the Breakthrough Breast Cancer Research Unit at Kings College London School of Medicine. Breakthrough Breast Cancer is a pioneering charity dedicated to the prevention, treatment and ultimate eradication of breast cancer through research, campaigning and education. Co-authors on the study are Mark Robson (Memorial Sloan-Kettering Cancer Center, New York), Judy E Garber (Dana-Farber Cancer Institute, Boston), M William Audeh (Samuel Oschin Cancer Institute, Los Angeles), Jeffrey N Weitzel (City of Hope Comprehensive Cancer Center, Duarte, CA), Michael Friedlander (Prince of Wales Cancer Centre, Sydney, Australia), Banu Arun (MD Anderson Cancer Center, Houston), Niklas Loman (Skane University Hospital and Lund University Hospital, Sweden), Rita K Schmutzler (University Hospital Cologne, Germany), Andrew Wardley (The Christie Hospital NHS Foundation Trust, Manchester, UK), Gillian Mitchell (Peter MacCallum Cancer Centre, East Melbourne, Australia), Helena Earl (University of Cambridge and NIHR Cambridge Biomedical Research Centre, UK), and Mark Wickens and James Carmichael (AstraZeneca, Macclesfield, UK). AstraZeneca provided funding for the trial. Dr. Domchek has no ties to AstraZeneca and no other disclosures to report.